The Sydney Taylor Book Award will be celebrating and showcasing its 2013 gold and silver medalists and a few selected Notables with a Blog Tour, February 11-15, 2013! Interviews with winning authors and illustrators will appear on a wide variety of Jewish and kidlit blogs. For those of you who have not yet experienced a Blog Tour, it’s basically a virtual book tour. Instead of going to a library or bookstore to see an author or illustrator speak, you go to a website on or after the advertised date to read an author’s or illustrator’s interview. Below is the schedule for the 2013 Sydney Taylor Book Award Blog Tour. Please follow the links to visit the hosting blogs on or after their tour dates, and be sure to leave them plenty of comments! During the Midwinter Council meeting of the Association of Jewish Libraries, I pulled Aimee Lurie out into the hall for a chat. 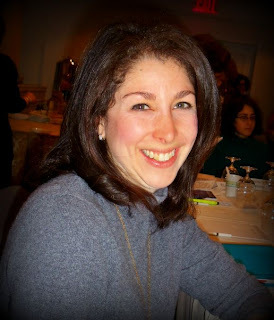 Aimee is the chair of the Sydney Taylor Book Award committee, and she told me all about the 2013 winners, the best in Jewish children's literature for children and teens! Get more info at www.sydneytaylorbookaward.org. Linda Glaser and Adam Gustavson, author and illustrator of Hannah’s Way, Louise Borden author of His Name Was Raoul Wallenberg, and Deborah Heiligman, author of Intentions, are the 2013 winners of the prestigious Sydney Taylor Book Award. The awards were announced at the Mid-Winter Meeting of the School, Synagogue and Community Center Division of the Association of Jewish Libraries. The Sydney Taylor Book Award honors new books for children and teens that exemplify the highest literary standards while authentically portraying the Jewish experience. The award memorializes Sydney Taylor, author of the classic All-of-a-Kind Family series. 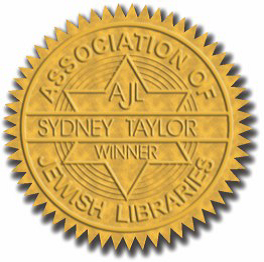 The winners will receive their awards at the Association of Jewish Libraries Conference in Houston, Texas this June. Glaser and Gustavson will receive the 2013 gold medal in the Sydney Taylor Book Award’s Younger Readers category for Hannah’s Way, published by Kar-Ben, an imprint of Lerner Publishing. When Hannah’s family relocates to rural Minnesota after her father loses his job, she is the only Jewish student in her class. Hannah worries she will not be able to attend a Saturday class picnic when her teacher arranges a carpool. Her observant family does not ride in cars on the Sabbath. In a delightful display of acceptance and friendship, the entire class chooses to walk with Hannah so she can attend the picnic. Barbara Krasner, a member of the Sydney Taylor Book Award Committee, said: "The Minnesota setting, the Depression timeframe, and a Jewish girl's dilemma all add up to a winning story. Linda Glaser's story and Adam Gustavson's illustrations, both meticulously researched, make Hannah's Way a new classic for young readers." In 2011, Glaser received a Sydney Taylor Honor for her book, Emma’s Poem: The Voice of the Statue of Liberty. The award in the Older Readers category will be presented to Louise Borden for His Name Was Raoul Wallenberg, published by Houghton Mifflin Books for Children. Written in verse, this biography of the Swedish humanitarian highlights his commitment to rescuing Jewish people in Budapest during World War II for readers aged eight to twelve. Teeming with photographs, Wallenberg’s passion for helping others is dramatically portrayed. Committee Chair, Aimee Lurie commented: “His Name Was Raoul Wallenberg shows how the courageous actions of one person, despite tremendous obstacles, can make a difference. Louise Borden's well-researched biography will, without out a doubt, inspire children to perform acts of kindness and speak out against oppression.” In 2006, Borden’s The Journey that Saved Curious George: The True Wartime Escape of Margaret and H.A. Rey was a Sydney Taylor Honor Book for Younger Readers. Four Sydney Taylor Honor Books were named for 2013: The Elijah Door: A Passover Tale by Linda Leopold Strauss with illustrations by Alexi Natchev (Holiday House) and Zayde Comes To Live written by Sheri Sinykin and illustrated by Kristina Swarner (Peachtree Publishers) are recognized in the Younger Readers category. The Wooden Sword by Ann Redisch Stampler with illustrations by Carol Liddiment (Albert Whitman & Company) garnered recognition as an Honor Book for Older Readers. For Teen Readers, the honor goes to Beyond Courage: The Untold Story of Jewish Resistance During the Holocaust by Doreen Rappaport (Candlewick). In addition to the medal-winners, the Award Committee designated thirteen Notable Books of Jewish Content for 2013. More information about the Sydney Taylor Book Award can be found at www.SydneyTaylorBookAward.org. McFarland Publishing's name and logo don't seem very Jewish, but you may be surprised to learn that they have a strong selection of Jewish titles in their catalog. 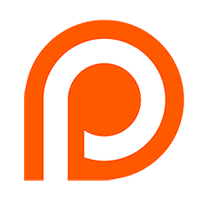 This podcast is a show-floor interview from ALA, with McFarland's own Karl-Heinz Roseman, who very kindly allowed me to come back and complete our interview the next day, after the batteries in my recorder died.